Going to throw back Thursday with an ole' time favorite that many don't give a chance or haven't put thought to....... burn something you haven't tried before!!! Your olfactory sense is waiting!! R. Expo Incense previously known as Mathur Perfumery Works was established in 1932 in North America. 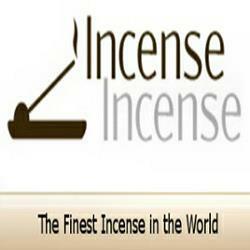 They are well known distributors of incense sticks, cones and natural herbal products: oils, perfumes, soap. shampoo, candles and other handcrafted items. All their products are handmade and are proud that their business is now supporting more than ten thousand families in India. With that being said sales from India Temple products, the organization has adopted several children from distant villages of Rajasthan, India. These children are provided with all necessities to live and be prosper in their individual visions. So think about it next time you purchase incense as its not just another product off the shelf. With R. Expo we carry: Song of India Temple Incense and Cones, Swagat Natural Incense and Vedic Aroma Incense. I was introduced to this Incense Burner via facebook through some private messaging. I'm always up to doing product reviews when it comes to incense, resins, herbs and more!! All you have to do is ask and send me the product so that I can give it a whirl. Let the truth be told. Today's subject: Zensense "The Amazing Incense Burner"
Spring is in the air and its time to see what is new on site and/or maybe it's time to mix up your same ole' incense collection with a new aroma or style.